I am happy to release another set of free templates for Thrive Architect, named “Bold Contrast”. Join my mailing list below to access the templates immediately. Bold Contrast – Cyan, Bold Contrast – Black Blue and Bold Contrast – Mono. Limited Time Only. Soon all these templates will be paid. No Spam. Your details are private. One email everyday, 1-click unsubscribe anytime. 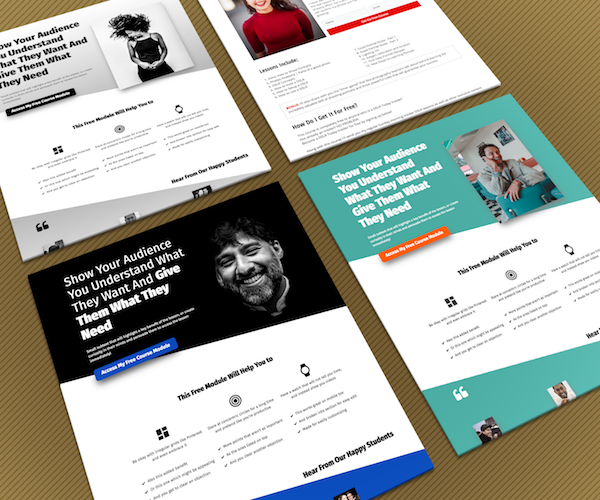 Instant Access Your Free Templates.